I failed to see this bird last year, so I decided to try again. I booked Friday off work and had an early start for the 300 mile journey to Seahouses where you get the boat to Inner Farne. 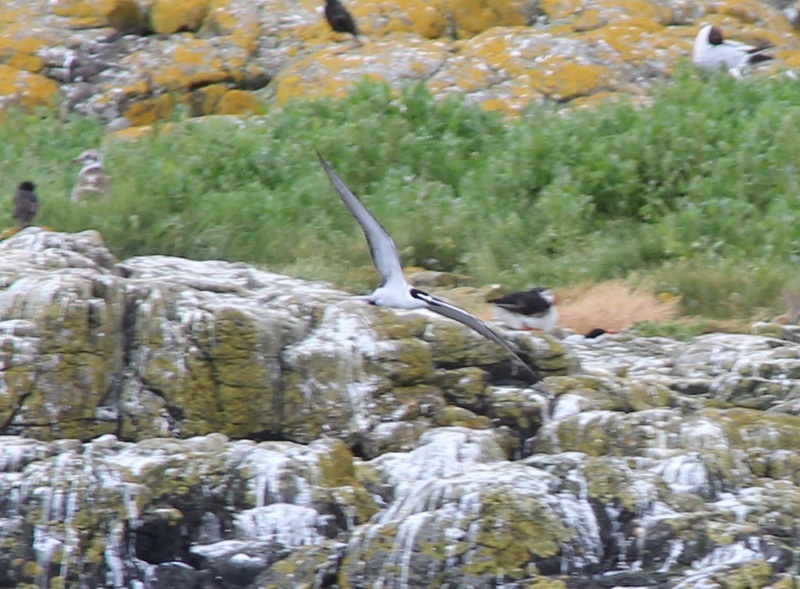 We had an hour on Inner Farne. 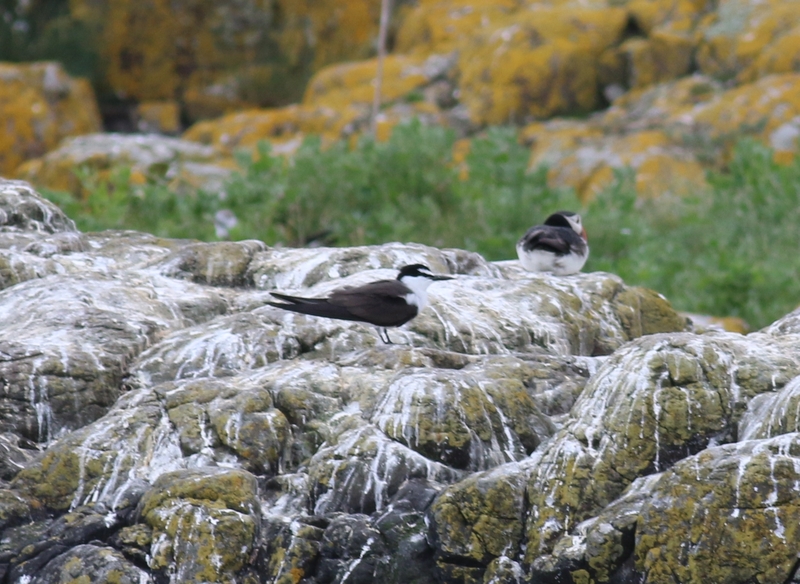 There was no sign of the Bridled Tern until the hour was up and our boat was about to return. 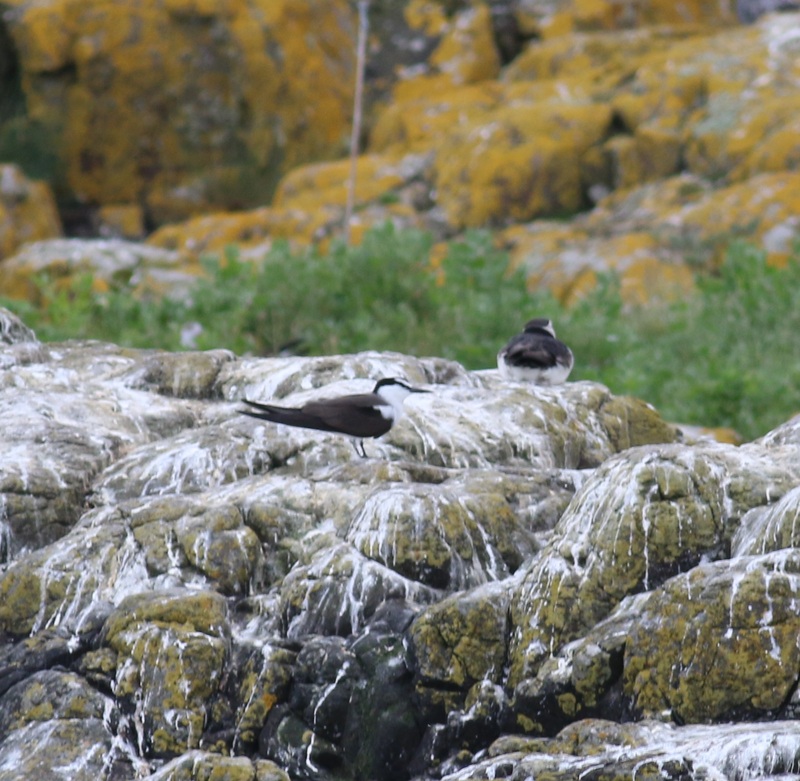 The Bridled Tern then flew in and landed on the rocks quite distantly. 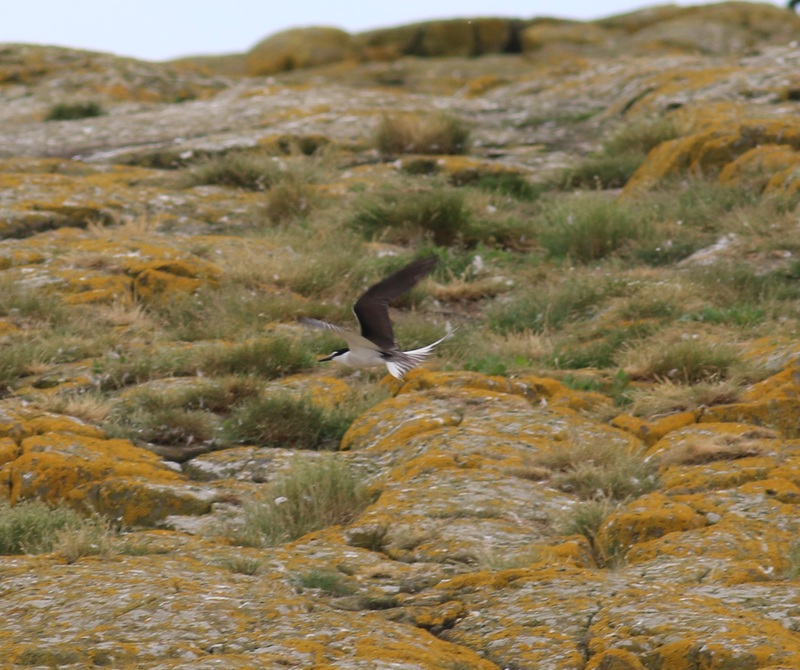 It was lucky that I saw it on Friday as it was not seen on Saturday when we spent over 4 hours on a boat offshore. 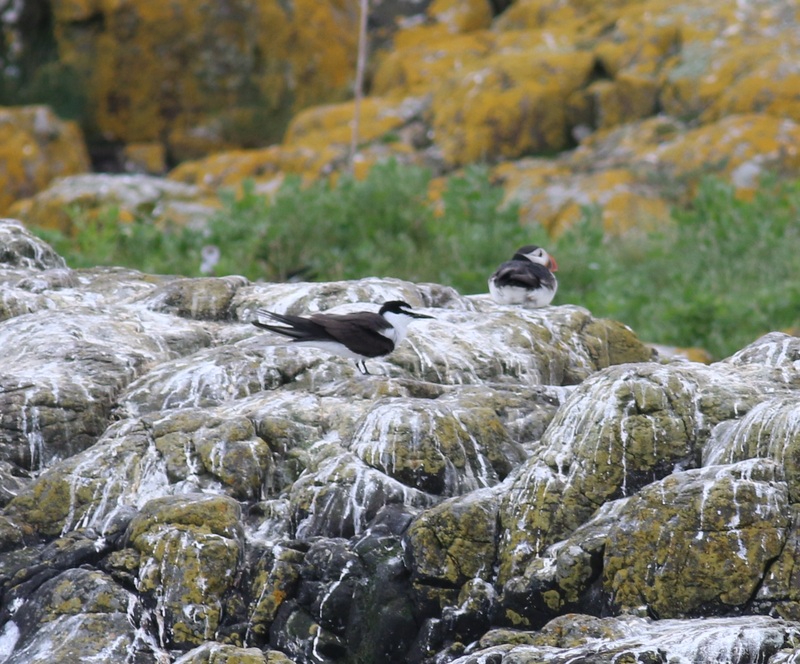 We were not allowed to get out on Inner Farne on the Saturday as bad rain storm over night had caused a lot of damage to the breeding birds resulting in heavy losses of chicks.